Meanwhile, On Clanbrassil Street They Hatin’ Hug It Out Sup? 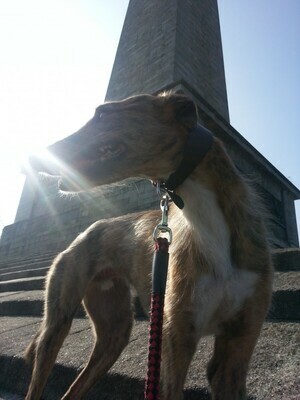 Posted in Misc and tagged Lurcher, Sup? at 2:48 pm on March 19, 2015 by Admin. Its so great to see so many people getting lurchers and greyhounds as pets. A few years ago they were an extremely rare sight, now they’re everywhere. Lovely, they’re the couch potatoes of the dog world. Love them. The bikes fell over while using their selfie sticks but the dog wasn’t quick enough to get the snap. Pity. he got the selfie stick though, and legged it down the furry glen with it. I can’t find it but I’m pretty sure this is not Fionn’s first time on BS. Some hound.